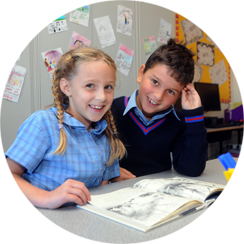 The Sholem Aleichem College Primary School curriculum aims to build strong foundations in all academic areas and focuses on ensuring students gain confidence and achieve success. Our teachers have a strong commitment to encouraging all students to strive for excellence in a supportive environment that recognises individuality and the differing rates of learning. There is a clear focus on literacy and numeracy, and programs such as Gap, Bridges and Bright Sparks, to complement our support programs. The curriculum is based on VELS (Victorian Essential Learning Standards), which set out the major areas of learning to be covered and describes education outcomes to be achieved. The curriculum is designed to look at the students’ progression of skills, content area and knowledge from Prep to Grade 6. The various subjects are linked to other key learning areas of physical, personal and social skill development and the ability to apply knowledge in the real world. Our curriculum is further designed to equip students for the challenging world of the 21st Century and to ensure that students develop the ability to take increasing responsibility for their own physical wellbeing, their own learning, their own relationships with others and their role in the local, national and global community. 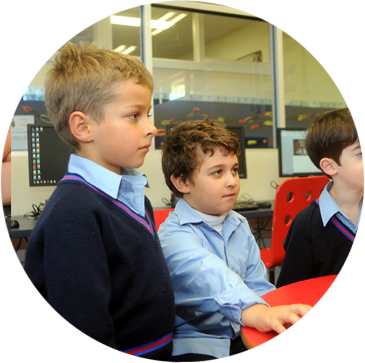 Before School Care is available for Primary Students in the Preschool Room from 7.30am – 8.30am. After School Care is provided each weekday from 4.00pm until 5.30pm. It is located in the College Hall. We also offer a selection of clubs, run after school, including soccer, Hebrew, drama, woodwork and fitness. For more detailed information about the curriculum of the Primary School please download the following document.